Rachel Bracker is a VR filmmaker with a background in multimedia journalism who has produced and edited several 360 documentaries that explore a range of issues, from saving the Grand Canyon to the world’s oldest drag queen. Her work has screened at FIVARS Festival of International Virtual and Augmented Reality Stories, Boulder International Film Festival, and the Portland Film Festival. 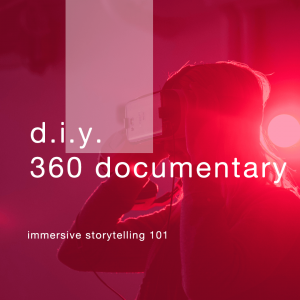 Kerri Lynne Thorp is a Documentary Filmmaker and VR artist who is exploring story and culture through documentary, virtual reality and public engagement with a desire is to expand access to technology and storytelling as a crucial way to affect social change. Kerri is also the Board VP of NW Documentary and is the creative director for the youth documentary program Produced by Her.